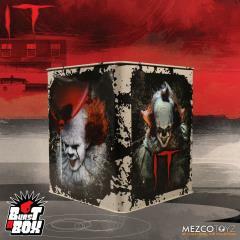 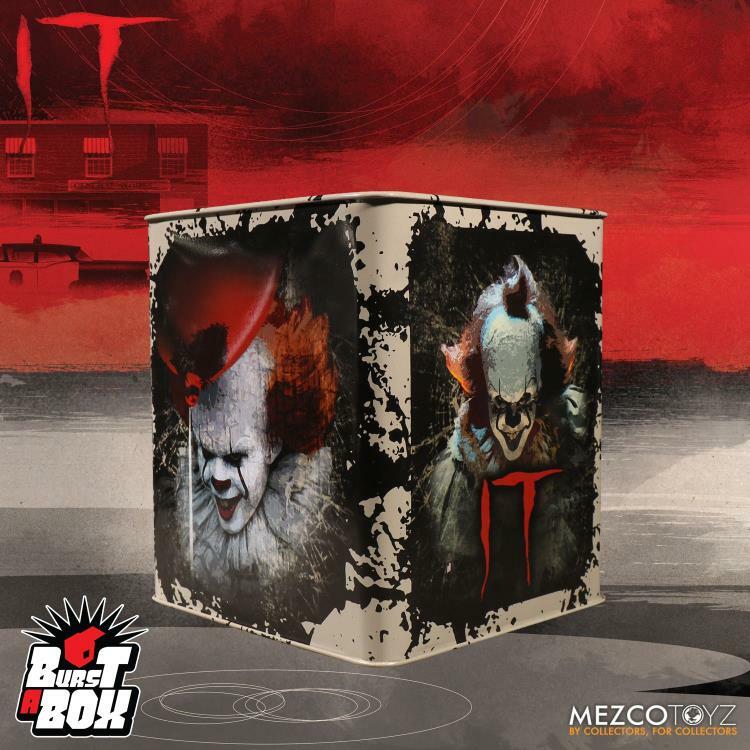 Burst-A-Box is just like the classic jack-in-the-box toy but with a pop culture infused twist! 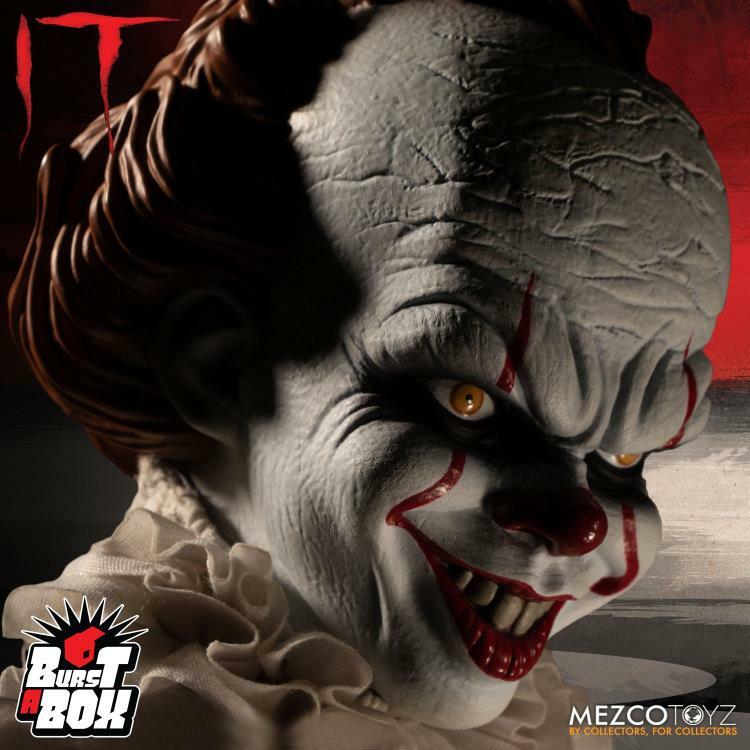 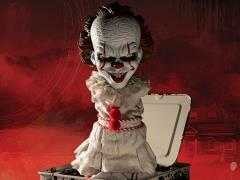 This Burst-A-Box Pennywise features the red balloon-toting, demonic clown that terrorizes the children of Derry from the 2017 movie It. 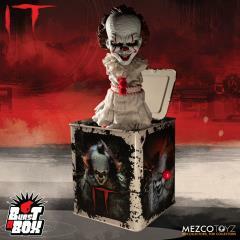 Designed after his appearance in the film, this Pennywise jack-in-the-box features a menacing grin with his signature clown suit costume. 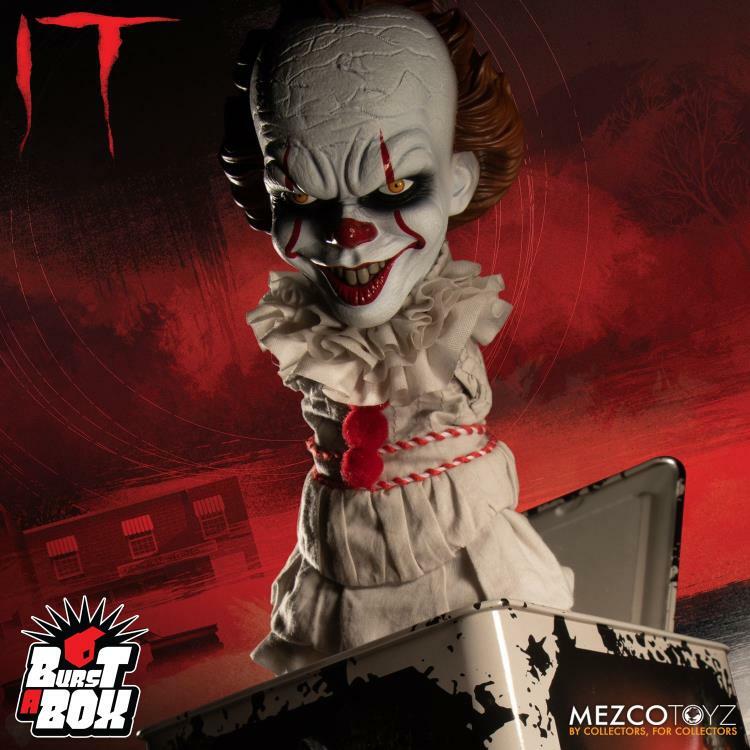 The Burst-A-Box features a detailed head sculpt and comes complete with a clothed spring body, all encased in a tin music box. 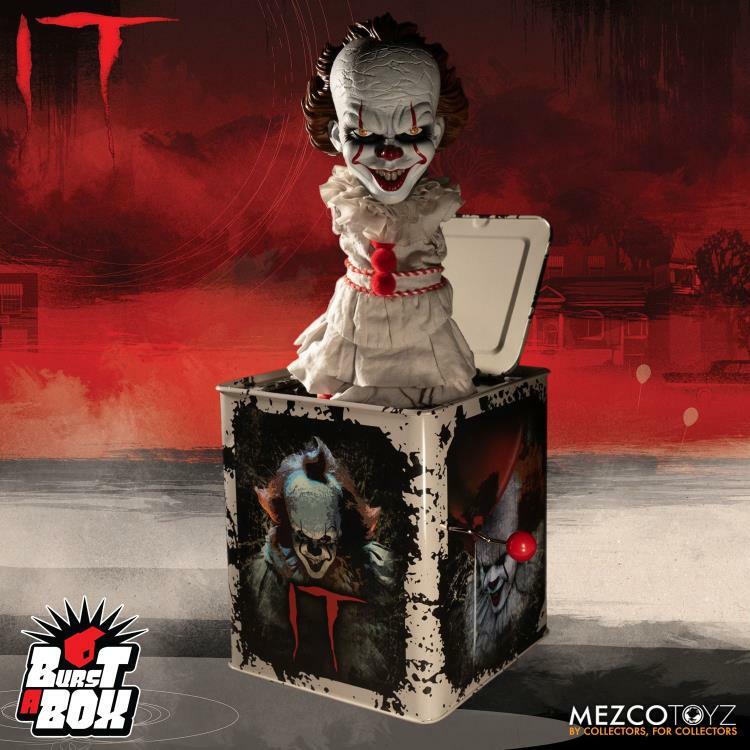 When “popped” this fully functioning jack-in-the-box stands approximately 14 inches tall. Burst-A-Box: IT (2017) - Pennywise arrives packaged popped-out of his tin and ready for display in a collector-friendly window box.